Sometimes you feel like a nut, and by and large, that’s a good thing. 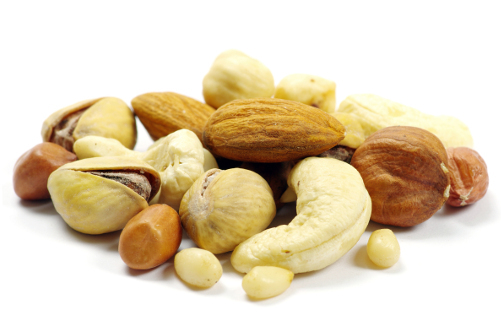 Nuts are packed with protein, fiber, healthy fats, vitamins and minerals. If you don’t have nut allergies or any other health issues that are worsened by nuts, eating a handful daily can have tremendous health benefits. 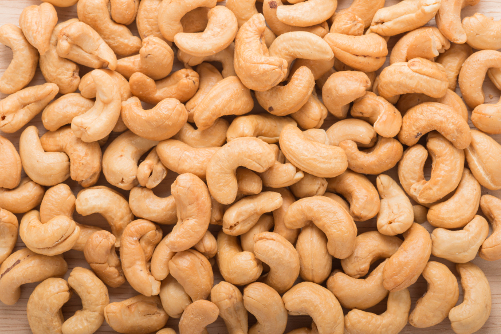 Nuts can have a positive effect on everything from your weight and heart to your brain and skin. Benefits: They’re rich in vitamin E, magnesium, folate and calcium for healthy bones. 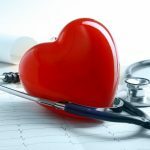 Vitamin E is a powerful antioxidant that helps absorb damaging free radicals associated with aging, and it protects your skin from dangerous ultraviolet (UV) radiation. 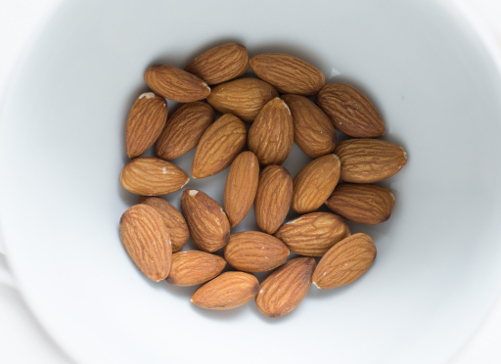 Almonds are also a good source of monounsaturated (“healthy”) fat which moisturizes the skin, cools inflammation and helps us look younger. Get your fix: Sprinkle a handful on your salad at lunch. Benefits: They contain antioxidants including lutein and zeaxanthin which are excellent for eye health and pack a potent supply of monounsaturated fats. Get your fix: Mix a handful into your yogurt. Benefits: They’re an excellent source of copper, magnesium and zinc (zinc increases the rate that skin cells turn over, essentially hitting fast forward on the rejuvenation process). They are also rich in heart and skin-healthy monounsaturated fats. Get Your fix: Pack a handful in a Ziploc bag to power up post-Zumba class, or add a handful to a vegetarian stir-fry. Another plus: Magnesium may help stave off age-related memory loss. Benefits: These nuts are rich in monounsaturated fat, which helps lower cholesterol and decrease your risk of heart disease and stroke. Get your fix: Use macadamia oil to add some zest to your salad dressing. 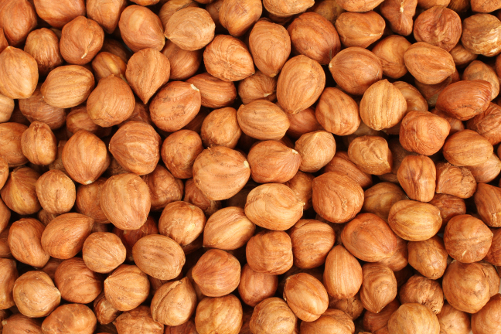 Benefits: Rich in monounsaturated fats and an excellent source of vitamin E, copper and manganese, hazelnuts are also loaded with folate, which is known to help lower levels of homocysteine, an amino acid associated with heart problems as well as conditions like Parkinson’s disease. You can’t beat vitamin E’s effects on skin health either. Get your fix: Add some toasted hazelnuts to your salad. 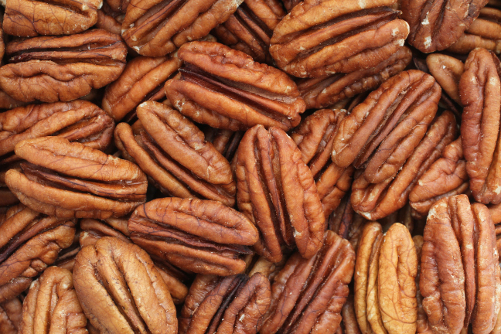 Benefits: Pecans are rich in antioxidants and heart-healthy monounsaturated fats. They’re also a good source of vitamin B3 which helps access energy in our food. Get your fix: Sprinkle some pecans on your sauteed string beans or chop some up and add to your oatmeal. 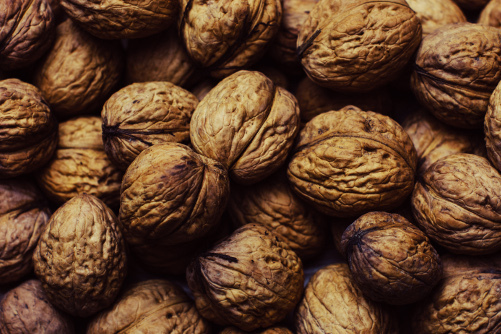 Benefits: Walnuts are rich in antioxidants and heart-healthy, anti-inflammatory alpha-linolenic acid (ALA). ALA is an omega-3 fatty acid and can be a great alternative for non-seafood eaters. Get your fix: Make an arugula, strawberry and walnut salad. 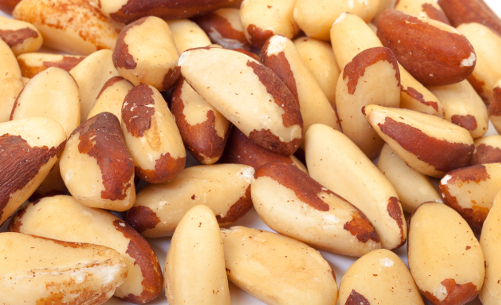 Benefits: Brazil nuts are brimming with healthful polyunsaturated and monounsaturated fats as well as selenium, which is a building block of thyroid hormone. Selenium supports immunity and helps wound healing. Get your fix: Add some as a topping to a yogurt parfait. 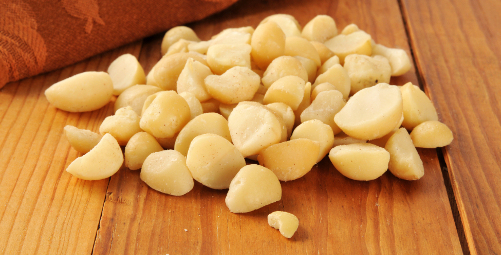 Benefits: Pine nuts are packed with skin-protecting vitamin E and phosphorus. Get your fix: Sprinkle some atop quinoa or a spinach and raisin side-dish. 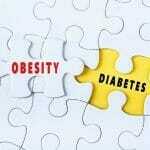 Sources: The Academy of Nutrition and Dietetics. In a nutshell.